Molly Maid has been serving the Northern Virginia area for nearly 30 years and have built a legacy in premier house cleaning. Remember there is only one way to do a job – the RIGHT WAY! Other cleaning companies deliver solutions based on excuses! MOLLY MAID makes no excuses – we have all the expertise to do the job right …and save you money! Our Fairfax home cleaning services are tailored around your schedule. Our maids are happy to clean kitchen appliances to couches in the living room and much more! In addition to regularly scheduled home cleans, we also provide office cleaning. If you are looking for your office to be cleaned the RIGHT WAY, let us know! We’re proud to serve Bristow, Broad Run, Catharpin, Catlett, Centreville, Chantilly, Clifton, Fairfax, Gainesville, Haymarket, Herndon, Manassas, Nokesville, Oakhill, Oakton, Reston, The Plans, Vienna, and Warrenton. 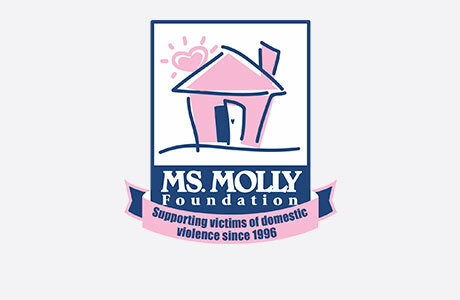 Molly Maid of Western Fairfax County believes in giving back to the community. We contribute to the House Of Mercy in Virginia which provides help & hope through their thrift store and food, clothing and education assistance services. We have been cleaning homes the RIGHT WAY for almost 30 years of service! Give us a call or request an estimate today! Can I afford MOLLY MAID? YES!! Every customer has different needs, which is why we give each of them a customized estimate to meet their needs. All maids undergo a criminal background check and driving record verification. Your MOLLY MAID of Western Fairfax County team is licensed and insured. What type of products are used in my home? Starting in 2008 MOLLY MAID began offering “Green Sealed” cleaning solutions which follow the Green Seal GS-37 Protocol for “Green" Cleaners. When your team utilizes our “Green Sealed” products (cleaning solutions, micro-fiber cloths and/or vacuum cleaners) your home will not just be cleaner, but healthier too. Ask about our Sanitizing Service Options! (703) 832-0303 MOLLY MAID of Western Fairfax Co.